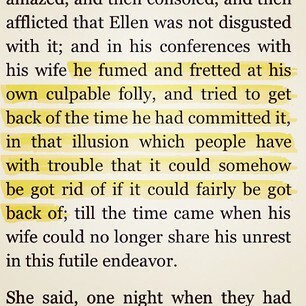 from “The Kentons,” by Wm. Dean Howells. Tub of pine nuts from Gene’s Sausage Shop. Reason for return: The label says ‘Product of China.’ When I brought them home, Dave mentioned a news story about how some Chinese pine nuts aren’t actually pine nuts and may taste metallic. I got them so I could replicate Justine’s amazing quinoa salad, which she credited to Cookus Interruptus. So I went to a different store and bought Alessi pine nuts. But though Alessi markets itself as Italian, the label on these said ‘Product of Italy and China,’ which probably means product of China. I was so fed up that I used them anyway and they tasted fine. So maybe the Gene’s ones would taste fine too? Curling iron from Walgreens. Reason for return: Didn’t have time to use it before Oscar party. And as Wendy pointed out, I don’t need curly hair. Feathered headband. I thought it represented the only time I would enter a Forever 21 store, when I purchased it for Oscar night. Wrong. Lacy top from Urban Outfitters, along with two pairs of tights, none of which I will ever wear. I hate that I always feel compelled to buy more than the one thing I went to a store for–in this case, a perfect dress I found on clearance. Instead of marching it to the counter, I needed to continue shopping so as to extend my bargain. Last night’s audition. To get the bad taste of it out of my mouth I went to Bed Bath & Beyond afterward, looking for a 2-Qt saucepan with a spout and a glass lid. would have a different combination of people sitting behind a different set of tables, with a different look on their faces. Maybe I’m just out of shape audition-wise, or maybe it’s because I didn’t truly believe in my own lies the way I do when I’m telling them spontaneously, or maybe it really was because I didn’t go with the first thing in my head the way I used to when I improvised, but it was the longest five minutes of my day. So I went back to the car and drove Dave to Rolando’s for band practice, then I continued on to BB&B. And because I cannot buy only the thing I came for, and because I was still in shock that things hadn’t gone the way I envisioned them in my head, and because I kept thinking of really great things I could have said and should have said, like “I’m originally from Mars,” yeah that would have killed, I continued shopping. I found a wall-mounted paper towel holder that Dave wants me to take back. It’s exactly like the one we had at the condo. Even when I put it in my cart I remembered Dave saying he didn’t like it, but I needed something besides the saucepan, especially because I was getting an extra 10% off on it because it was the last one, and I’m tired of not having a paper towel holder. When we got home and I showed Dave, he reminded me of all the reasons this was not an acceptable design. Distasteful prominence of the rubber ball grabbers and how they collect lint, and insufficient roll grip as time goes on, and I forget what else, he lost me at linty balls. “I’m not returning it,” I said, and went to bed. Removable wall graphic from JoAnne Fabric and Craft. “Songs and Wishes Tree, Black.” “Not a sticker!” “Easy on Easy Off!” But nowhere to put it, now that I’ve begun drawing story charts on the walls in my office. Cute toothbrush holder from the Chicago Architecture Foundation Store. Dave got it for me because it grosses him out that I keep an extra toothbrush in the shower, right on the soap caddy. But he mentioned it in front of a bunch of our friends, who were all grossed out by the thought of me brushing in the shower. At first I fought back, but over time, every time I shower I think what if I’m getting spit somewhere it shouldn’t be? So I’m giving up. The toothbrush holder goes back, maybe not all the way to China, but at least downtown. Spring. I don’t care if March steals it back tomorrow, I’m getting my money’s worth today. Say what you won’t about William Dean Howells, because no one reads him anymore, but I swear to God, I opened iBooks for a minute while I ate breakfast, and out of the blue, he captured life in one line, with a sense of humor so subtle that it would never audition for anything, buy more than it needs, or get seduced by removable wall art. Wait. You’re NOT from Mars? Of course not. I was born on Venus and went to school in the land formerly known as Pluto. Isn’t that where we met? Would you come with me to the Emeryville Target store to return my lemon zester? It just wasn’t what I expected. Don’t listen to us re: brushing teeth in the shower. We’re just a bunch of yahoos anyway. No lie. I will indeed, and even if you don’t have your receipt I’ll be well-prepared. I examined a lemon zester at length at BB&B, but finally concluded that the alleged fineness of this particular grating surface could not be proven to deliver a truly distinct experience from the many graters I already own. No, it’s too late. I’ve tossed my shower toothbrush. and the Howells line is highlighted in the pic. Well, off I go to brush my teeth in the sink — gross. Come on, what is grosser than THAT? Shh, don’t tell, but I brush my teeth in the shower, too.